Brilliant Bicycles, a Los Angeles-based company that sells entry-level bicycles direct to consumers via the Internet, has raised $1.5 million in seed capital from six investors including Aspiration Growth. 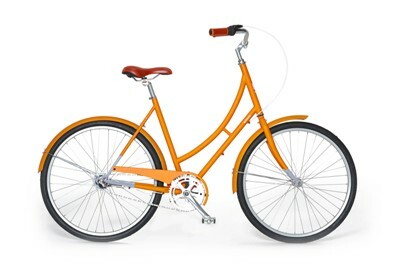 Brilliant Bicycle is scheduled to start shipping the $399 Mayfair three-speed June 25. Brilliant Bicycles is focused on selling easy-to-assemble steel frame bicycles that are optimized for affordability, comfort and style. The company is currently shipping the Astor, a flat bar urban road bike available in 1, 3, or 7 speeds for $299. On June 25, it will begin shipping the three-speed Mayfair, which features a step-through comfort frame with raised handlebars for $399. The company is offering 3-to-5-day delivery along the East Coast from its warehouse in New Jersey and will pay for customers to return the bikes within 14 days of delivery if they are not satisfied. The company's website features videos of the production process at the Taiwanese factory that makes its bikes, as well as a nearly 14-minute video in which a young women guides customers through the assembly process step by step. “Brilliant Bicycles are hand-crafted at a state-of-the-art, wind-powered manufacturing facility in Taiwan,” brilliant.co explains. “We took great efforts to find manufacturing partners focused on ethical labor. All of our partners pay responsible wages with benefits in safe, clean working conditions.